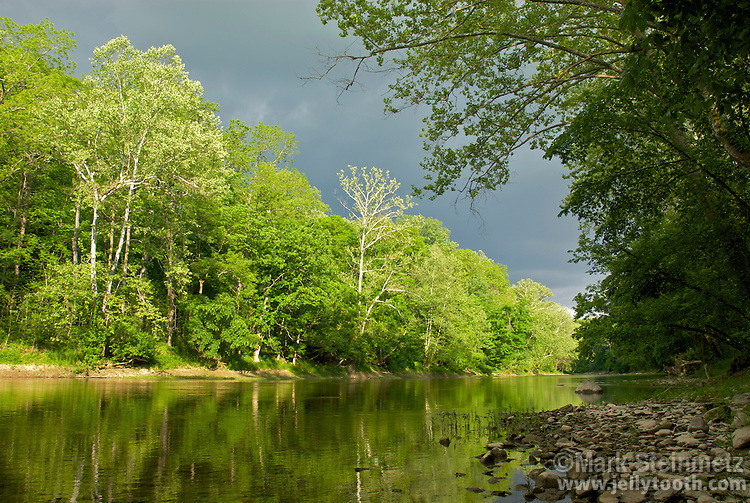 An ominous sky from an approaching storm contrasts sharply with the last rays of late-day sunlight draping the banks of Sugar Creek in Montgomery County, Indiana, USA. Mid-May. Sugar Creek is a popular canoeing destination that runs through two of Indiana's state parks--Shades State Park and Turkey Run State Park.